Desperation is a terrible thing but with just a few hours to go before my tee time in the annual Irish Golf Writers’ Association Championship — a gymkana for the afflicated who watch great golfers and then fail utterly to replicate anythng they have seen — I’m searching for my swing. The clubs are in the boot, where they’ve been cowering in disgrace since I left a trail of destruction across Northern Ireland at Kilkeel, Royal Belfast and Belvoir Park, more than a month ago. It’s been eight months since I tried Shane Lowry’s “Simply Golf” app, booked the second lesson of my life and spent an hour with the excellent Zak Rouiller working on the stuff Watttie Sullivan told me when in Grange back in 1980, when they Inter Cert was looming. “There are 18 questions on the exam and you can’t skip any,” Wattie said as I opened and closed “the door” with my little persimmon-headed Clery’s three-wood, sweeping autumn leaves in the rough right of the 18th. The club may still be around but the swing is definitely a lot less supple. It’s T minus two hours to my tee time for the Mark McKenna Trophy at Woodrbook so I check the Simply Golf app for those swing keys I’d promised Zac — an excellent maestro, by the way — I’d practice faithfully. It had been easy to book the lesson. I’d simply downloaded the app from the Apple Store, loaded it with credit via my credit card and searched for pro in my area. A few names popped up and I opted for the man who worked nearest, recalling his name from the PGA Irish circuit. We met up in Newcastle Driving Range between Newcastle and Lucan and I walked away from it knowing exactly what to do with my game. If only I’d gone practicing or followed up with that short game lesson. Zac gave me what amounted to a pre-NCT lesson for my game and I’ll go back for the full service now that the golf season is quiet. Grip, posture and set up will be my early focus when I get to Woobrook later. (After a coffee, of course). Ah yes, I remember it now. I also remember being told to keep my chin up and to stick my backside out. It certainly made me feel more capable of delivering a reasonably athletic move and a clean hit. My ball flight, usually quail high, suddenly attained a Rory McIlroy-esque quality of getting airborne. This, as I recall, was a little trickiet but it resulted in straighter shots, which might prove handy later today. My “Work Ons” included a one-piece takeaway to promote width. For lack of time, that will have to do. Call me One Piece Keogh today. Wish me luck. I’ll need it. The walls are lined with photgraphs and newspaper cuttings of the great days of yesteryear — the Carroll's International, the revived Irish Open and myriad other big events that saw figures such as Tom Watson, Max Faulkner, Tony Jacklin, Peter Thomson and Christy O'Connor Snr and Jnr play their parts on the great stage that is Woodbrook Golf Club. Rory McIlroy, who has risen from 39th to ninth position in the official world rankings in his second full season on tour, has been voted the ‘Professional of the Year’ in the 2009 Irish Golf Writers’ Association Awards, sponsored by AIB Bank. The 20-year-old phenomenon from Holywood, Co Down, claimed a maiden tour win when capturing the Dubai Desert Classic in February and went on to have 14 top-10 finishes including a third place at the US PGA Championship at Hazeltine. McIlroy finished second, behind Lee Westwood, in the European Tour’s ‘Race to Dubai’ standings. 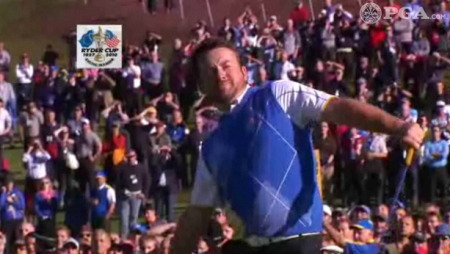 Graeme McDowell, who enjoyed a spectacular season on tour which saw him anchor Europe to victory in the Ryder Cup at Celtic Manor and claim a breakthrough win in the Majors when winning the US Open at Pebble Beach, has been voted the ‘Professional of the Year’ in the AIB Irish Golf Writers’ Awards for 2010. 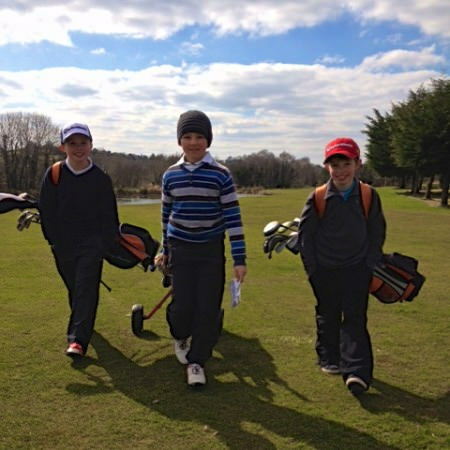 Clare golfers (left to right) Keelan Hartigan (aged 10), Seamus McCaul (10) and Eoin Magill (8) step out for a game. Irish golf would have a bleak future without new blood which is why some chartered accountants and a retired soldier deserve some credit for their services to the game. Graeme McDowell has been voted ‘Professional of the Year’ in the Irish Golf Writers’ Association awards for 2013, sponsored by Carr Golf Group.